Anyone cooking in the kitchen needs a 18 inch oval diamond steel – find out why. Whether that is at home or in a professional kitchen is going to need a sharp knife. 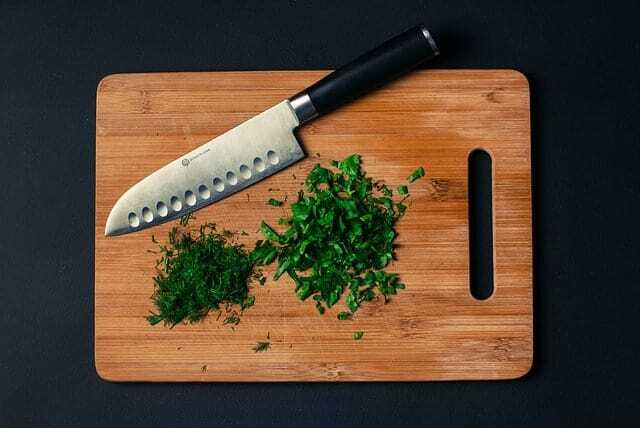 A chef’s knife is a crucial part of every kitchen. Knives come in many different sizes for a range of jobs. This is where you need to know your knife maintenance. Knife maintenance is the correct cleaning, sharpening and storage of your knives. Keeping a knife sharp using a sharpening steel is a job that needs to be learnt. The knife sharpening can be done in two steps. The first step is by using the honing steel and the second step by using the 18 inch oval diamond sharpening steel. There are other sized oval diamond steels out there, however, the 18inch oval diamond sharpening steel is the most popular used by myself and professional chefs out there. The steel has a diamond dusted coated paper on the outside of the rod. When first brought the coating of the steel will be fairly rough and will smooth down after a few uses. When the steel has smoothed out a little it is still good to use. The 18 inch oval diamond sharpening steel is used by so many chefs out there that it has to be doing something right. As mentioned previously this steel is very popular among chefs. It is light inexpensive and does the job. Key points to remember here are, yes the steel will wear out after a couple of years of use. I usually use one for several years and get a new one for around £20. These steels should be used on averagely priced knives to maintain their sharpness. It is not advised to use the 18 inch oval diamond steel on expensive knives. It is always a good idea if buying an expensive super duper knife buy an equally expensive super duper oval steel. The most common diamond sharpening steel out there is the averagely priced steel, priced at around £20. Can be used for a few years and then its advised to renew the item. There are other brands out there that offer high priced oval diamond steels. As I previously mentioned, its advised to buy a high priced diamond steel when buying a highly priced knife. After a few uses the diamond coating starts to smooth out a little bit, this is still a good tool to use. After a while, the sharpening steel will start to become dirty with the continuous sharpening of knives. These can be easily cleaned with a scourer and washing up liquid. I have seen a few ways of cleaning the steels including; one chef I worked with had a very dirty steel so they left it in a bottle of coke! It cleaned the steel, but this took a long time to clean and it is not advised to do this. It will wear the oval sharpening steel down.